 The birth of Elvis was marked by the appearance of a mysterious blue light over his house.  In August 1974, John Lennon spied a UFO from the window of the penthouse he shared with then-girlfriend, May Pang.  Mick Jagger and Marianne Faithfull encountered a luminous cigar-shaped mothership while camping in the English countryside in 1968.  Jimi Hendrix told a friend, "I am a spiritual messenger, sent here from another place." 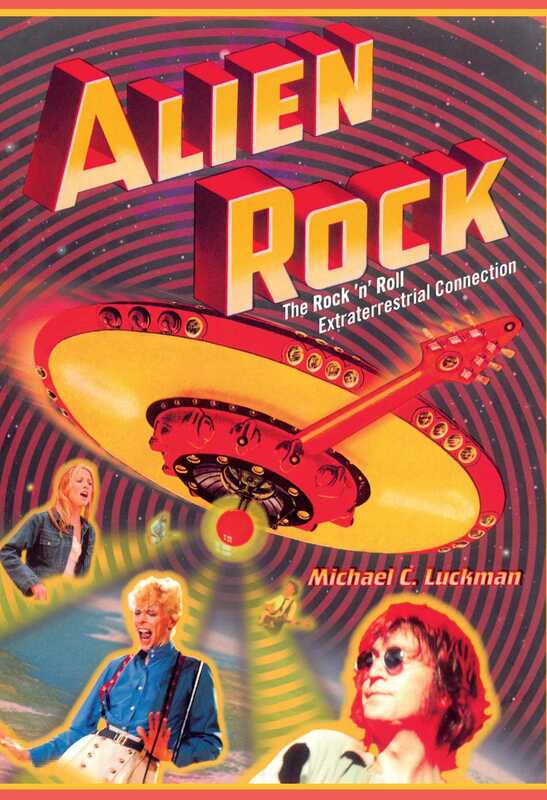 Whether you're a UFO skeptic or a true believer, Alien Rock provides a fascinating new perspective on the long, strange trip that is rock 'n' roll history, and suggests that, wherever the road takes us, we may not be traveling alone. Michael C. Luckman is director of the New York Center for Extraterrestrial Research and the founder of the Cosmic Majority, an organization that seeks to represent the majority of people on earth who believe in UFOs, life on Mars, and the paranormal. Luckman taught the nation's first college course on rock music. He lives in New York City.